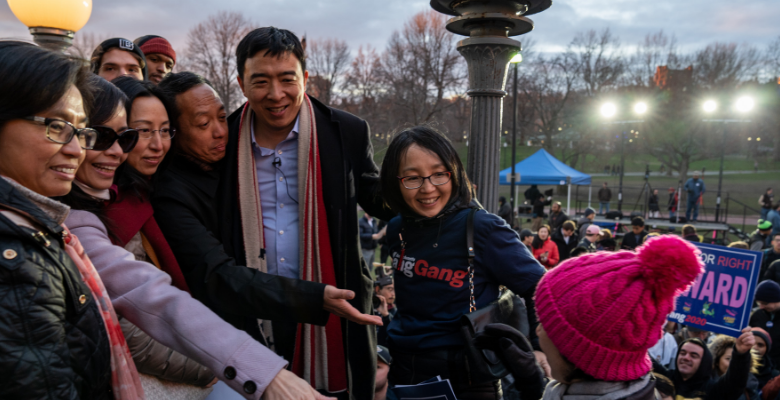 Andrew Yang, a fringe Democratic candidate for the 2020 presidential election, called for universal basic income—providing $1,000 a month to every American over the age of 18—at a campaign rally on Boston Common on April 10. As Yang’s first stop on his “Humanity First” tour, he focused on economic reforms to offer a solution to rapid automation, or the replacement of human jobs by machine counterparts. Yang’s website details over 80 other policy proposals he plans to run on, such as reducing student loan burdens, lowering the voting age to 16, and making the NCAA pay student athletes. Yang hails from New York and most recently founded Venture For America, an organization that helps entrepreneurs create jobs in cities like Baltimore, Detroit, Pittsburgh, and Cleveland, according to his website. Yang garnered 1 percent of Democrats’ support in Massachusetts according to an April 7 poll of 371 individuals by the Emerson College Polling Society. The same poll showed Bernie Sanders leading the Democratic pool in Massachusetts with 26 percent of the vote. Hundreds of spectators gathered around the Parkman Bandstand in 48-degree weather holding posters with slogans “Not Left or Right but Forward” and “Welcome to Math-Achusetts,” referencing Yang’s tendency to focus on numbers in his arguments. Sophomore Antonio Camasmie attended the rally after hearing about Yang from a friend in January and listening to podcasts, such as The Joe Rogan Experience, featuring the presidential candidate. Yang’s humanity-first policy platform focuses on alleviating the effects of automation on various manufacturing and retail jobs, according to his website. Yang acknowledged during the rally that many of his supporters come from varying political backgrounds, including some who voted for Donald Trump in 2016. 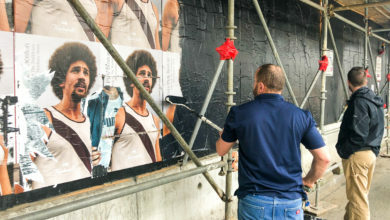 The crowd included mostly college students and young adults—a testament to Yang’s younger demographic that he gained through the use of memes and social media. Christine Donohue is one of the lead organizers of a group of supporters called the Massachusetts Yang Gang and spoke at the rally. Donohue said she often votes Republican but views Yang as the most qualified candidate running in either party. Camasmie similarly said that he believes Yang’s ability to engage and sway a wide array of voters makes him a promising candidate. I’m an Iraq war veteran. I know leadership when I see it. If we empower this man with the tools democracy can provide, I believe great good can come through him.